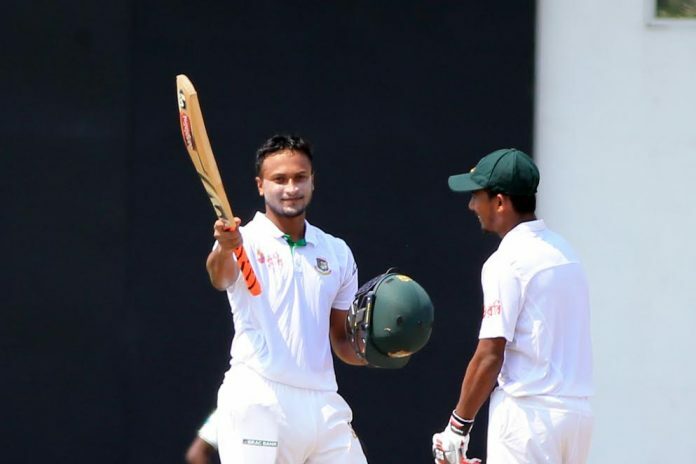 Hundred from Shakib Al Hasan, fifty from Mushfiqur Rahim and Mosaddek Hossain helped Bangladesh to take a big lead of 129 runs in the first innings of Colombo Test. 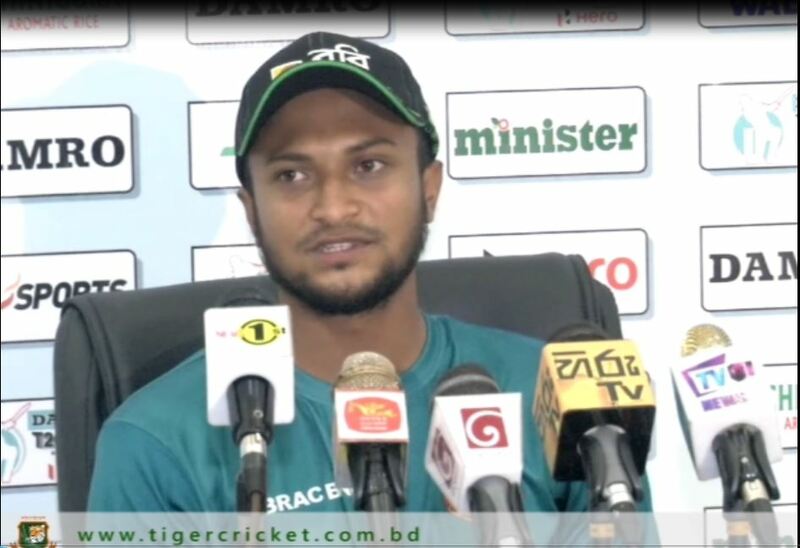 Two overnight batsmen Shakib and Mushfiqur started the day for Bangladesh. They added 92 runs in the 6th wicket. Suranga Lakmal broke this partnership and bowled Mushfiqur on 52. Then Shakib and debutant Mosaddek Hossain made a partnership of 131 runs in the 7th wicket. Shakib picked up his fifth Test hundred and gone for 116. Mehedi Hasan was the next man to be dismissed on 24. Mustafizur Rahman was trapped lbw by Herath in the very first ball he faced. 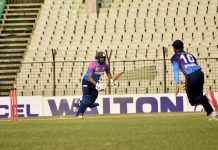 Mosaddek was looking for some quick runs and eventually gone for 75 as the last batsman. Herath was the best bowler for Sri Lanka with 4 wickets for 82 runs. In reply, Sri Lanka finished the day with 54 without loss. They still trail by 75 runs.